As Barry Viniker, Benny Royston led esctoday.com for four years. In that time, he strengthened the website’s position as the largest and most popular independent Eurovision Song Contest news website. For the first time, a fan website has interviewed all participating acts at the Eurovision Song Contest during rehearsals and provided video footage of every competing country. We’ve also provided our most in-depth information about every artist and covered more official parties than ever before. 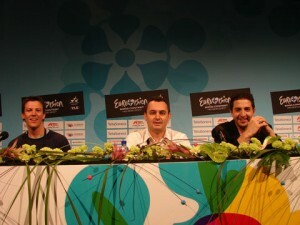 Benny Royston began as an esctoday.com editor in 2004, attending the 2005 Eurovision Song Contest to work alongside then manager Sietse Bakker. 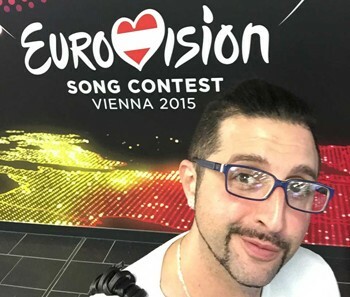 When Sietse left to take over the EBU’s official Eurovision Song Contest website, Benny Royston took over esctoday.com to ensure the site remained online. Under the stewardship of Benny Royston esctoday broke new ground in terms of multimedia use at the Eurovision Song Contest, Social Media and video coverage of the rehearsals, press conferences and events around the Eurovision Song Contest under his stewardship. We were so much more than a team, we were a family. We worked together to achieve things no-one thought possible. We chased every story, pushed for every interview and it was done with passion for the Eurovision Song Contest and the aim of allowing every Eurovision fan to feel that they were at the Contest, to see everything that goes on and hear all the news as if they were a part of it. Looking at eurovision.tv today and the explosion of fan sites and Eurovision blogs, I’d say we achieved something really special. Those relationships still stand today and many people that were a part of the team remain some of my closest friends.